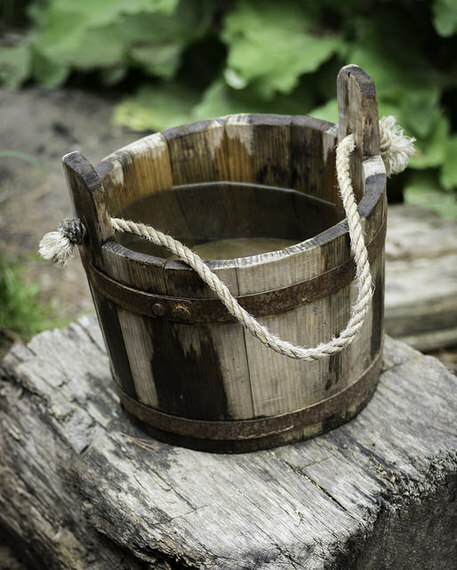 Fixing the Leaky Bucket: Teacher Recruitment or Retention? Imagine a bucket. Your job is to keep that bucket full to the brim of water. Sounds easy. Except, every few minutes, someone walks by and jostles that bucket and some of the water sloshes out. You fill up the bucket again. After repeated bumps into the bucket, the bucket develops a few steady leaks. Between the leakage and the jostling, you have to replace a good portion of the water every few minutes. One more thing - your water sources are limited, disparate and unpredictable. What would you do? Keep running around to get more water or fix the leaks and take better care of the bucket? This leaky bucket represents our school systems. Our teachers are the water -- the lifeblood of the system. And they're leaving in droves. Around half a million teachers either move or leave the profession every year -- a $2.2B problem nationally, according to a just-released report on the equitable distribution of effective teachers from Alliance for Excellent Education. This is roughly the population of Atlanta, GA. What's more, new teachers -- who have just been recruited to fill the leaky bucket -- are the most likely to leave. To help solve this problem, the U.S. Department of Education launched a campaign to recruit the "next generation of teachers." Recruitment is important, but the leaky bucket is not a challenge we can just recruit ourselves out of. We can attempt to continuously replace these teachers, or we can do what it takes to stem the flow. So how can we plug this leaky bucket to ensure we hold onto more of our beginning teachers? First, we should understand why beginning teachers leave our schools. The data is pretty clear. The most frequently cited reasons new teachers give about why they leave center on dissatisfaction with working conditions like issues with classroom management, opportunities for professional development, input into decision making and school leadership. My colleagues and I hear time and again from teachers who are considering leaving the profession, or at least changing schools, that they are looking for a work environment where they are supported to improve by the administration, feel valued and are able to contribute in a collaborative culture. It's been well-documented that no matter what profession they enter, Millenials are seeking such a culture. As Millenials stream into the teaching profession, they will make choices of whether or not to continue in the classroom and for how long largely by their sense of autonomy, purpose, mastery and choice. They are looking for workplaces and for leaders who support them in their pursuits to improve the world and themselves while they're at it. And aren't we all. Carnegie Foundation for the Advancement of Teaching puts it simply -- the primary reason beginning teachers leave is that they "don't think the people they work for care about them or their efforts to improve." High teacher turnover rates sap education of its talent and can scar schools and students. When students watch new teachers walk out of their school's doors and never return - year after year - they are often left feeling abandoned, unvalued and reluctant to form connections with incoming new teachers. This is detrimental to students' success as learners. Fortunately, we know it is possible to hold onto many more of our beginning teachers while accelerating their effectiveness through high quality mentoring and induction programs. We've found over and over that high-quality mentoring programs increase beginning teacher retention by over 20%, importantly while also increasing the effectiveness of those new teachers and their impact on student learning. When school leaders decide to put a high quality induction model in place, new teachers feel better able to make a difference for their students, handle classroom management and even take on teacher leader roles. And they remain committed to teaching. Indeed, a survey of Teachers of the Year noted access to a mentor as the biggest contributor to their growth as a beginning teacher. High quality teacher induction is one of the best ways to fix the leaks in the teacher retention bucket. Other leaks can be fixed by improving the wider system of support for teachers. A comprehensive system should include building the capacity and capability of principals and site leaders to lead instructional growth, developing professional learning communities and a culture of ongoing assessment, and shared responsibility and collaboration alongside a high-quality mentoring and induction program. If our vision is to provide all students, regardless of where they live, with equity of access to a quality education, then our focus must be on improving the effectiveness of teaching in our classrooms with special attention paid to making sure beginning teachers are great from the get go. The number one school-based factor in a students' success is a great teacher. We know it can take three to five years, or more, for teachers to hone their practice and master their craft before they can effectively differentiate instruction to ensure all students learn. Great teachers need time to develop which means a leaky bucket drains our schools of teacher talent. Fixing it must be a priority. Well designed and implemented teacher induction programs provide that fix by establishing the supportive teaching environments novice educators need to become more effective faster and to stay in the profession longer -- ultimately improving student learning. As we turn our attention toward fixing this leaky bucket, let's remember: When our teachers succeed, our students succeed.